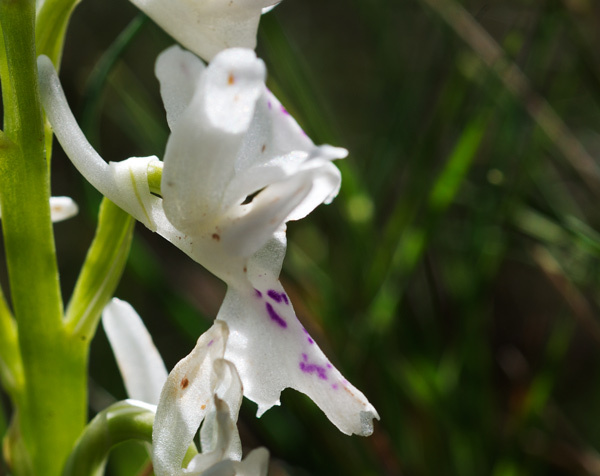 Orchis olbiensis is a small plant with 4 to 8 light-green foliage leaves which can be spotted or unspotted. The inflorescence has up to 25 flowers. The middle sepalum and the petals form a hood, the lateral sepals are directed upwards. The labellum is three-lobed, the lighter middle lobe is marked by small spots. The spur is up to 2 cm long and directed upwards. George François Reuter and then Jean Charles Grenier (1859 in Mémoires, Société d’Émulation du Doubs III) described the plant as Orchis olbiensis. 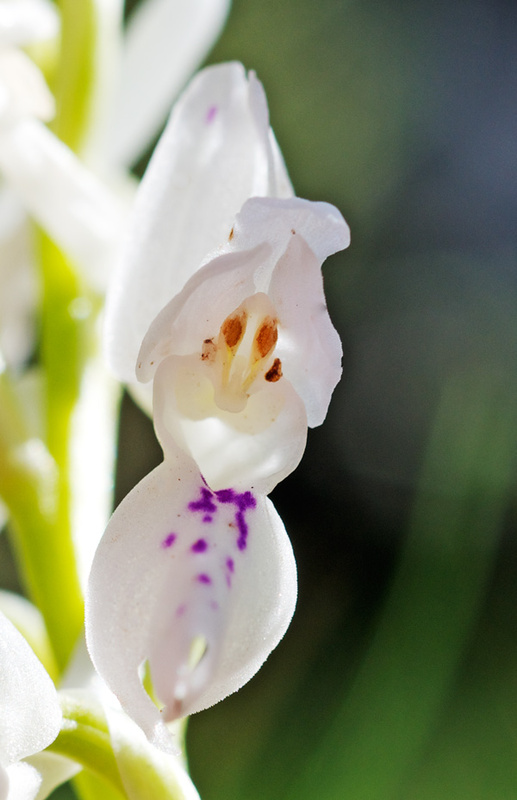 The flowers of Orchis olbiensis show a broad variety from purple to white. White-flowered plants often retain the purple lip pattern. Orchis olbiensis is growing on meadows and pastures of coastal regions in the Western Mediterranean, up to 1800 m. Bloom is from April to June.